Call it the Twitter effect — Silicon Valley will see another IPO of a consumer-focused online effort tomorrow, when Chegg is set to go public. Many people familiar with the situation said the Santa Clara, Calif.-based startup had completed its road show and was set to debut on the New York Stock Exchange in the morning. It had aimed to go public sometime this week. Chegg — which offers textbook rentals online, as well as a spate of ever-growing academic services — said in recent filings that it was raising above $170 million with stock selling at between $9.50 and $11.50 a share. That would put the valuation of the company at just over $900 million. Ironically, the IPO comes on the heels of the fire sale of Kno, a learning-focused startup founded by Osman Rashid, to Intel earlier this week. He is also a co-founder of Chegg, whose unusual name is a mashup of chicken and egg, and a major shareholder in it. Rashid and Aayush Phumbhra founded the startup in 2005 at Iowa State University, first as a hyper-local classifieds directory. The business evolved two years later into a textbook-rental service. It now has hundreds of thousands of physical and electronic books to offer its customers, but has also expanded to a variety of offerings centered on students from high school onward through college. To get there, Chegg has raised $195 million from a variety of venture firms and investors, including Kleiner Perkins, Pinnacle Ventures and Insight Venture Partners. It has used the funding to aggressively expand and also to buy up a number of startups related to the expansion of its business, including course-selection advice, homework help and personalization. The company is not without competitors, which have had varying degrees of success, including BookRenter and, perhaps most significantly, Amazon. The IPO should give it a leg up, though, and is also a solid victory for CEO Dan Rosensweig, a longtime tech exec, including at Yahoo, who took over at Chegg in 2010. Chegg unveiled its IPO plans in August, after doing what is called a “secret filing” with the Securities and Exchange Commission. That means, like Twitter, that it also used the 2012 law, the Jumpstart Our Business Startups Act, which allows any private company that has less than $1 billion in annual revenue to work confidentially with regulatory agencies ahead of a public IPO announcement. According to a recent filing, Chegg’s sales were $178.5 million in the first nine months of this year and it earned $22.7 million in adjusted earnings before interest, taxes, depreciation and amortization in the period. 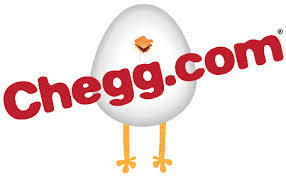 Using GAAP accounting, though, Chegg lost $50.4 million in those months. J.P. Morgan and Bank of America are the banks leading the offering. There are more to come this week in the IPO parade, including Zulily, a hipster online retailer of clothing for mothers and babies.